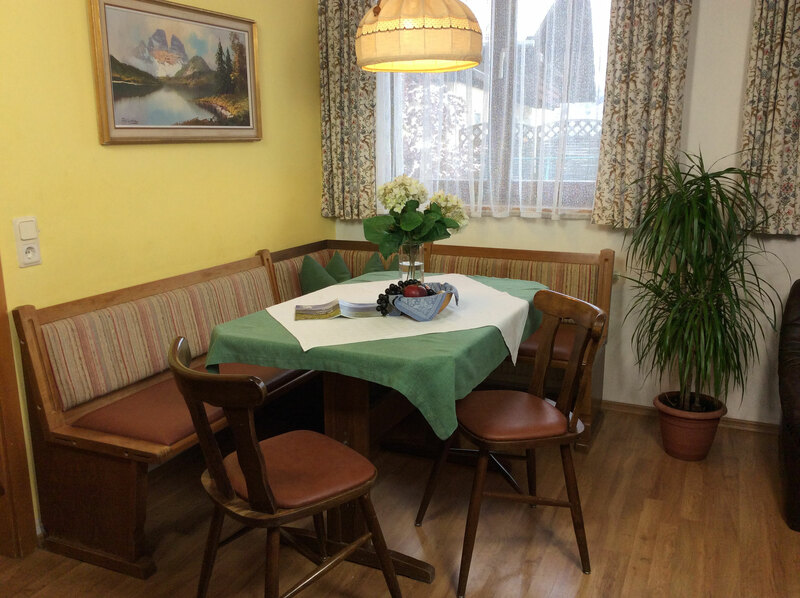 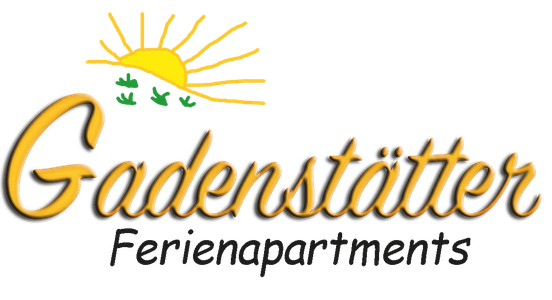 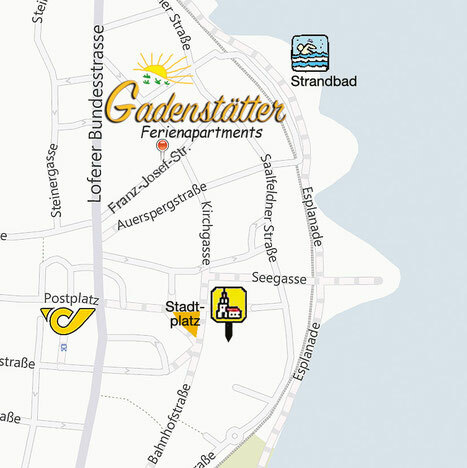 Apartment INA - a-gadenstaetters Webseite! 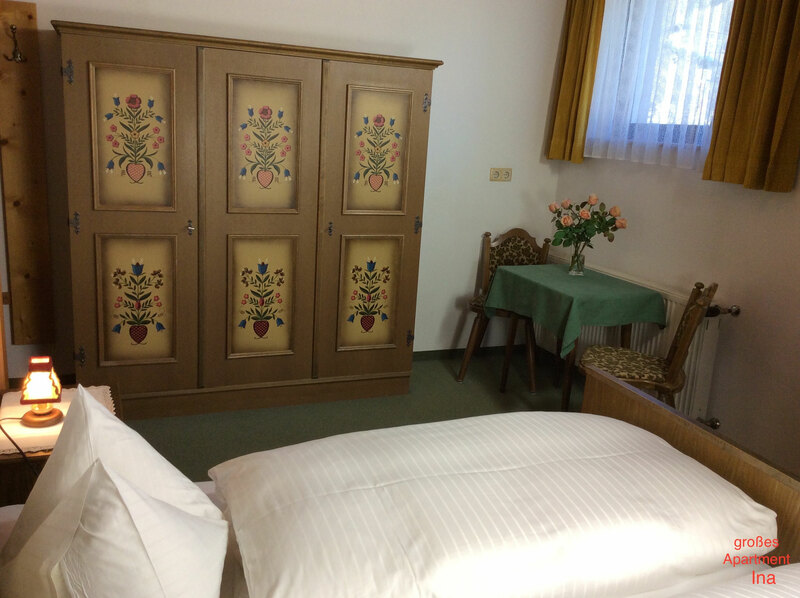 Our most comfortable Apartment with 3 Rooms in the second floor has enough space for 4-6 person. 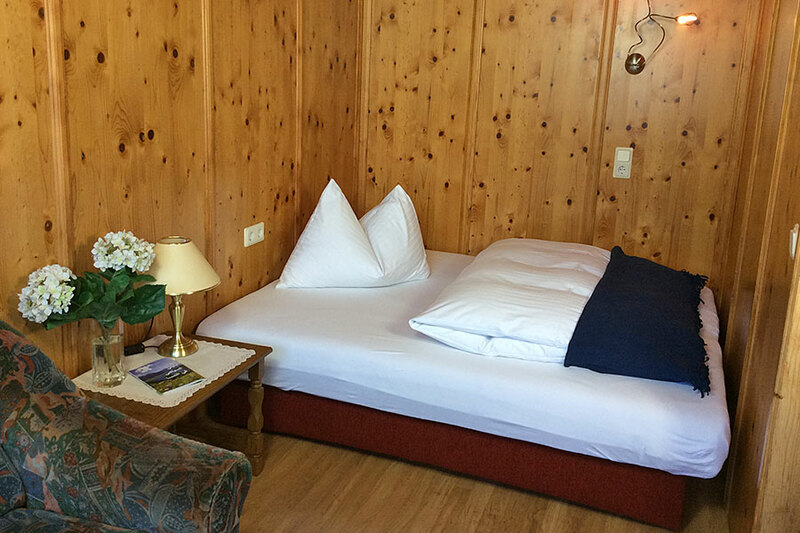 Facilities : a Sleepingroom with a king size Bed and a bathroom with shower and Toilet. a second sleepingroom with 2 single beds. 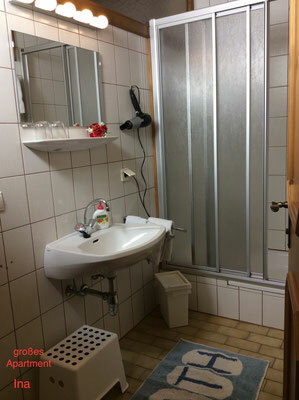 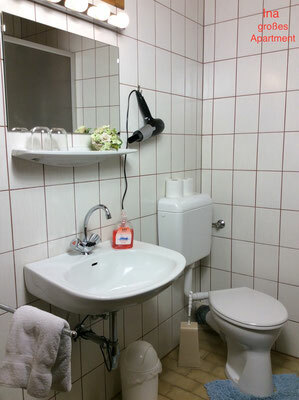 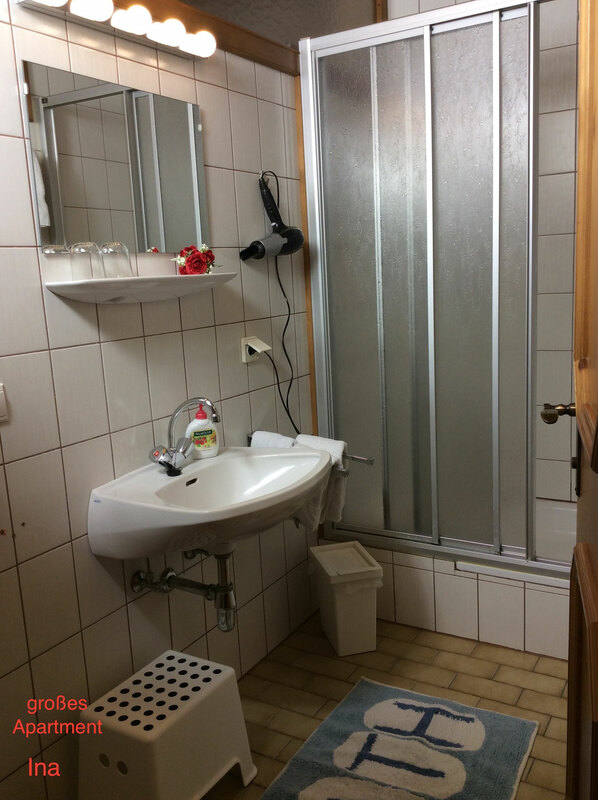 a second bathroom with shower and toilet is included. 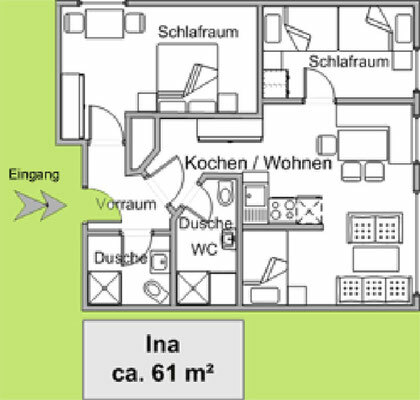 A living-room kitchen with a sitting corner and a sofa bed (twin beds). 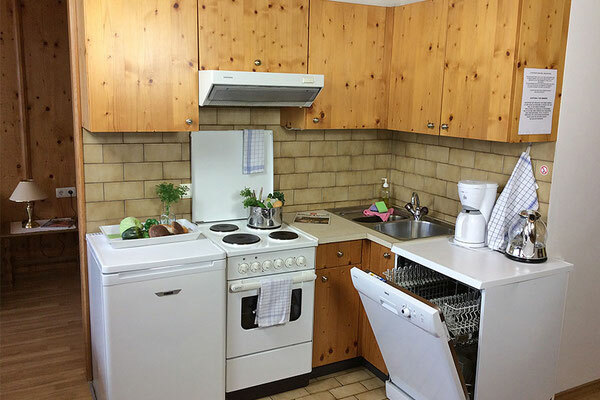 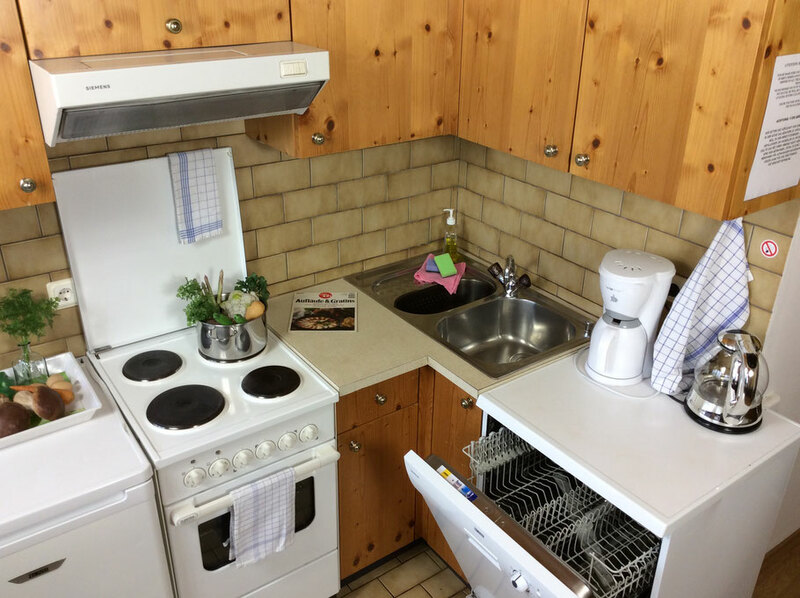 the kitchen is complete with dishwasher, waterheater, coffeemaker etc. 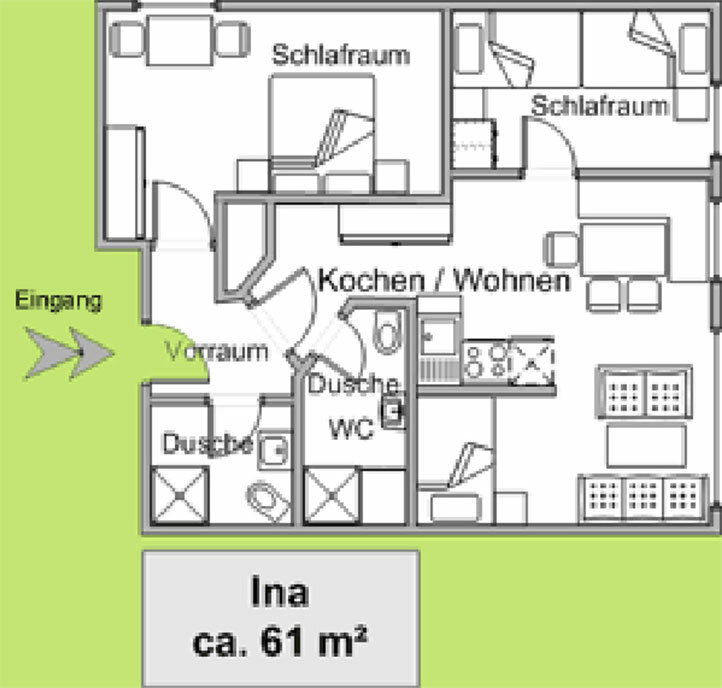 Cable-TV.